As the Republican National Convention winds down—with an official nomination for GOP foregone conclusion Donald Trump—it seems the nation needs comedy now more than ever. Unfortunately, we’ll still have to wait until August 25 for the Oddball Comedy & Curiosity Festival to kick off. 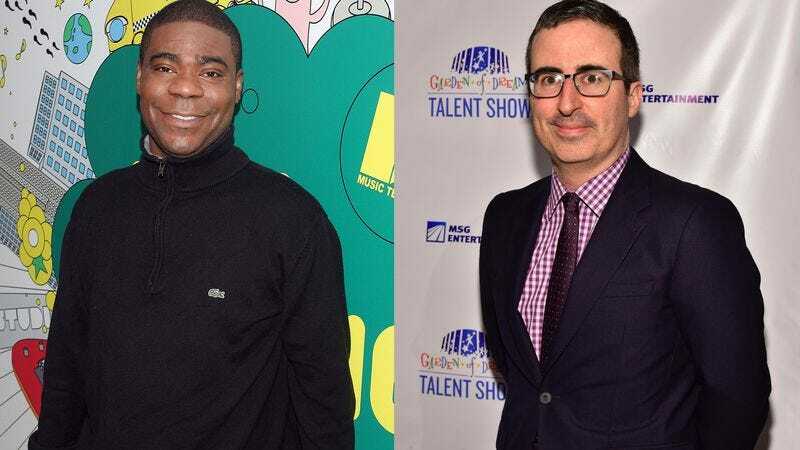 Sponsored by Funny Or Die, the festival spans multiple months and cities, featuring Tracy Morgan, John Oliver, and John Mulaney among the headliners. Other performers include Cameron Esposito, Pete Davidson, Iliza Schlesinger, Hannibal Buress, and Ali Wong. Jeff Ross will host many of the shows, though comedian Joey Diaz will have the mic for a few of those dates. The festival runs from August 25 to October 2, and tickets go on sale Monday, July 25. Here’s the complete list of performers.